Joe Irvin, whose appointment as the new chief executive of local infrastructure body Navca was announced yesterday, has said his priority will be to "nurture and help" Navca members through a time of budget cuts. "The challenge that the sector faces at the moment is very great," said Irvin, who will take up his role on 16 January. "There is less money coming in, and there’s a big shake-up of the interface between the voluntary sector and the public sector. "My job is to nurture and help Navca members so there will remain a thriving local voluntary action community. I still have a lot to learn from the sector, but I’ve got a lot to bring to it as well." Irvin served as chief special advisor to John Prescott in his role as Deputy Prime Minister, and worked in the policy unit at 10 Downing Street when Gordon Brown was Prime Minister. 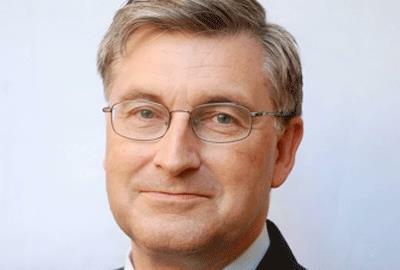 He previously served as director of public affairs at the British Airports Authority and director of parliamentary affairs at the RSPB, and has recently finished working as an adviser to the Communication Workers Union. He will have a handover period until March with outgoing chief executive Kevin Curley, who will retire after eight years in the role.